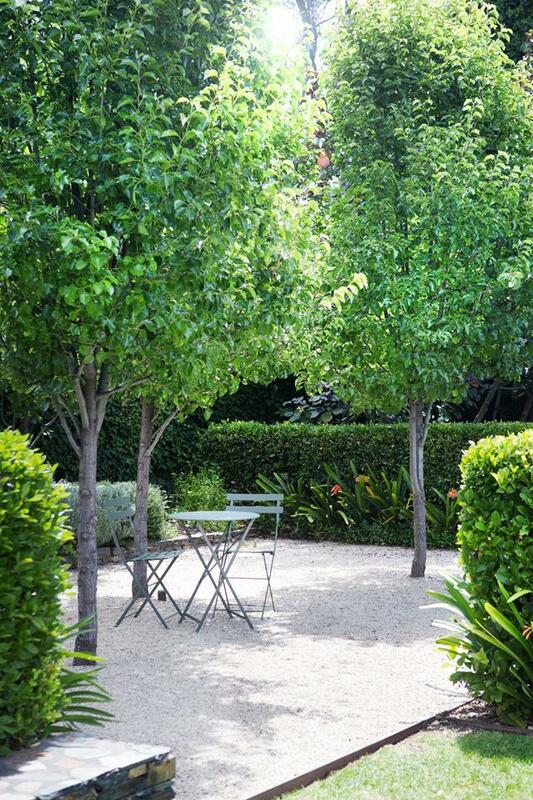 Hedges provide a beautiful lush green solution for privacy in the garden. They help to create private outdoor living spaces in your own backyard. 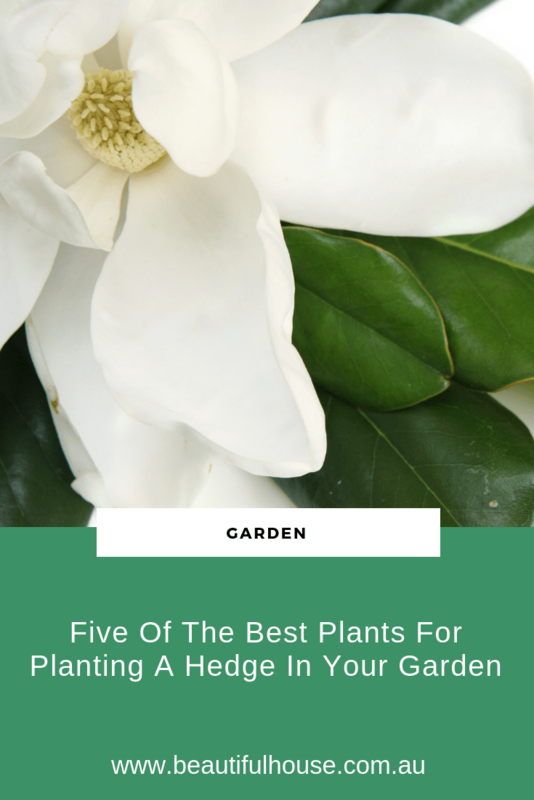 Today I have chosen five of the best plants for planting a hedge in your garden. Homes To Love | Garden designed by Peter Fudge. Photograph- Jason Busch. From the Belle Australian Landscape Designers book. For a more formal look in your garden the boxwood hedge is perfect. This plant is an evergreen hedge and a very popular border plant for your garden. The boxwood hedge is very hardy. I have planted lots of hedging with the boxwood plant in my garden. They do require occasional trimming, especially in Spring. My boxwood hedges have held up in windy and hot conditions and have survived our long hot summers in Melbourne. I love how dense and green this hedge plant is. Photinia’s are a very hardy plant with glossy green leaves with red new growth and clusters of dainty white flowers in Spring which makes for an attractive hedge plant. This plant is suitable for full sun and a part shade position and frost tolerant. The Photinia can be kept trimmed to around 1.5 m tall and wide. They are particularly suitable for warmer climates and will cope with the humidity. The Lilly Pilly has been a popular choice for hedges in Australian gardens and can grow up to five metres tall. The Lilly Pilly can also produce small pink berries and prefers to be planted in a cooler climate. The Little Gem Magnolia is one of my favourite plants. They have glossy green leaves and pretty white flowers. The Little Gem Magnolia has become a popular screening plant and can be grown in most parts of Australia. It can grow up to four metres high and 2.5 metres wide and prefers to be planted in well drained soil in full sun or in part shade. Prepare the soil and check your drainage. Your hedge placement should be one metre apart, closer for a low hedge if you are using smaller plants. Prune your hedge a little and ofter from the start, this will encourage a bushy and dense hedge. Prune both of the top of your hedge and the sides. Water your newly planted hedges often. Feed your hedges two or three times during the growing season with some Dynamic Lifter or seasol. Place mulch in the garden around your newly planted hedge. Hedges are great for adding privacy and formalising your garden. I love how you can create a beautiful outdoor room in your garden. Have you planted a hedge in your garden? We would love to know what plant you have used.